Two teenage Nigerian students have rekindled hope in the future of Nigeria as they entered their names in the catalog of application developers when they built a mobile web browser that is already in use globally. 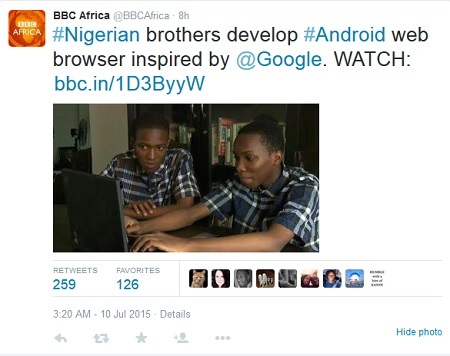 13-year old Osine Ikhianosime and 15-year old Anesi Ikhianosime from Lagos, have developed an Android web browser. Inspired by Google Chrome, they named their browser ‘Crocodile Browser Lite’. 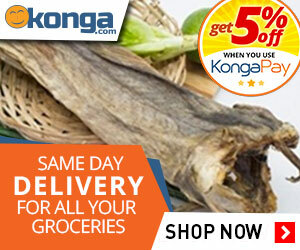 It has been described as a functional, fast browser for feature and low end phones. In this singular act, the duo have rekindled hope in the future of Nigeria as they entered their names in the catalogue of application developers when they built the mobile web browser that is already in use globally. 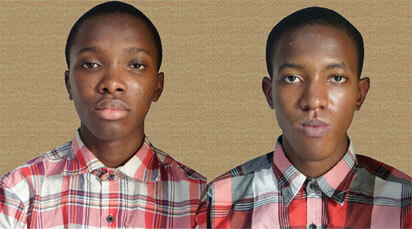 The brothers who co-developed ‘Crocodile Browser Lite’ were born of same parents and both are students of Greensprings School, Anthony Campus, Lagos. While both brothers write code, Anesi designs the user interface. Osine and Anesi launched the mobile browser on the Mobango app store before moving to Google Play Store to try and reach a wider audience. As you read this piece, the browser currently has around 1000 downloads and they do not have ads in the app yet. They both began developing the Android web browser about a year ago out of boredom. Due to their strong interest in technology, they decided to create a functional, fast browser for feature and low end phones because, according to them, “We were fed up with Google Chrome. I write the code, my brother designs it.” Osine told TechCabal. On his part, Anesi said: “I learnt to code by myself. I started in 2013, I used sites like Code Academy, Code Avengers and books like ‘Android for Game Development’ and ‘Games for Dummies’,” said Anesi.